I hope to hike the North Country Trail before I'm too old. We'll see. Distance 4600 miles - much of the trail is not yet complete and trail reroutes happen so this is an estimate of the trail length. When I complete the trail, I'll let you know how many steps it took me since I'll wear a pedometer the distance. Terrain Most of the trail traverses northeastern forest with very little elevation. The western portion opens up to the great plains. The trail is well-used in few sections, with about 40% of it still unrouted which requires road walking. History designated as a National Scenic Trail in 1980. Challenges Humidity, heat, and insects during the summer months. Completing before winter. Time Window As early as you can handle the snow and cold. February or March. A flip-flop hike starting around Cincinnati heading east starts and ends at the most southern part of the trail, hopefully resulting in milder weather early and late in the hike. Otherwise, an eastbound hike tends to have wind at your back most of the time. Time to Hike There is no typical time since so few have attempted it and so much of the trail is incomplete. But, 4600 miles at about 20mpd would require 7 to 9 months. Thru-hiker Tally less than 10, no award or recognition for thru-hiking or section hiking. Ed Talone (1994), Andrew Skurka (2005), Eb Eberhard (2009) are three known thru-hikes, Ed Talone being recognized as the first. 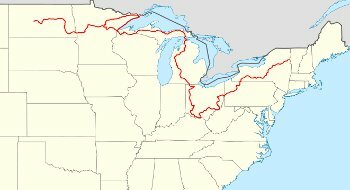 My friend Jake and I are leaving in mid June from the Manistee National Forest and hiking the NCT toward North Dakota!